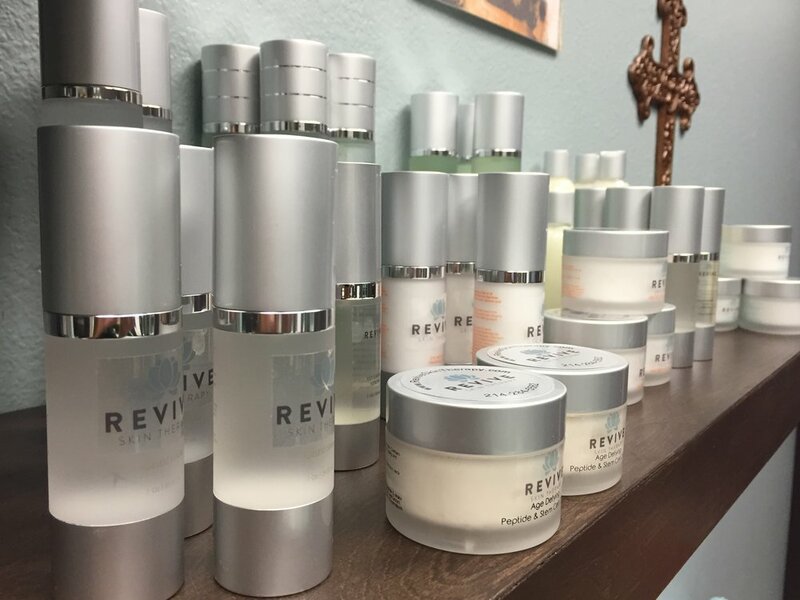 Revive Skin Therapy is a Day Spa in Lewisville, TX offering an array of services from Facials, Microdermabrasions, Dermafiling, Dermaplaning, Photo Light Therapy, Microcurrent, Peels, Professional Teeth Whitening, Waxing, Eyelash Extensions, Eyelash Tabbing, Lash & Brow Tinting and Makeup Application. We offer Teeth Whitening! Our formula contains a desensitizer and no citric acid that can breakdown your enamel and cause sensitivity. Obtain up to 14 shades whiter! It's a Great formula trusted by thousands of spas and dental offices! "Dedicated to Quality, Safety, and Results". FACIAL PACKAGES AND GIFT CERTIFICATES ARE ALSO AVAILABLE! VIEW OUR SPECIALS LISTED UNDER THE SERVICES MENU!